This year all tickets to the developer conference (WWDC) is gone in just ten hours. Demand is becoming stronger. In order to more meetings with partners, Apple has decided to revive the Tech Talk World Tour. 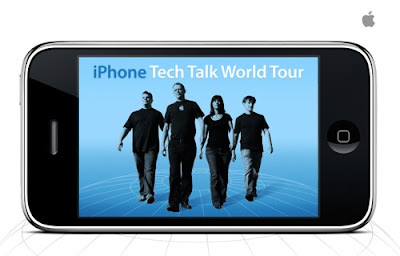 This is an event that allows developers to meet Apple engineers for a day and exchange. This event happened in 2008 was in many major cities, including Los Angeles, New York, Paris, London, Delhi, Tokyo, Hong Kong and Sydney. Apple had put the cover in 2009, but had not renewed last year. If one believes Macotakara behind this rumor, the Cupertino Company seeking to spread the word about icloud and iOS 5. Unlike the other editions, the event is open to students.